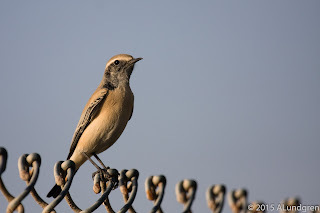 When writing this, I have the ambition to write a series of blogposts to describe the sites we visited and which birds we saw at the respective site. Now, to be fair, I will not write the species names of the most common over and over again... Collared Doves can be seen everywhere. 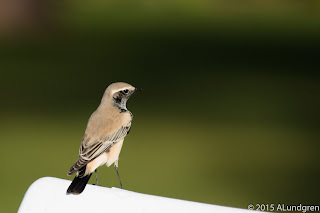 These blogposts will focus on my own experiences of the sites and also the species covered will be my own sightings, though I might mention species seen by the other members of the party if I remember them. In the end, this blog is really only to have some firmer memories of the trip for myself, but I make them public just in case someone would find them useful. I will also put a few photos into the posts. Not that they are particularly good but they are all a little bit special to me in one way or another. As I complete the posts, I will put some links here in the first post. So, Crowne Plaza Hotel. We arrived at the hotel early in the morning, just before dawn. We were ment to gather the group around 11am and were supposed to get a few precious ours of sleep before that. But as soon as my father and I had received our room, I opened the window... by that time, the sun was almost up. The Common Mynas where noisy, as they usually are, and I got three new lifers in just a couple of minutes. First out was actually an African Paradise Flycatcher, which I did not expect in the hotel grounds. 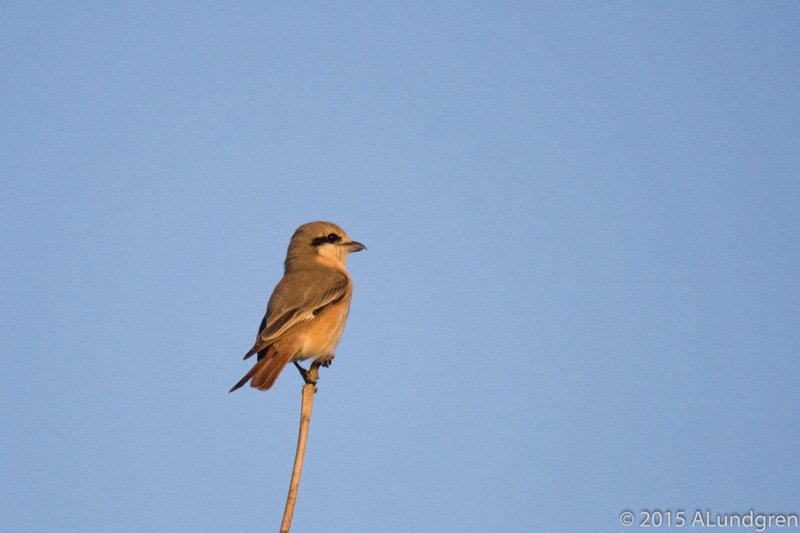 This bird was quickly followed by two Abyssinean White-eyes and a Rüppel's Weaver. After this start, going to be was just not an option. So, instead of sleeping we took the first tour of the hotel gardens and its surroundings. We immediately found that the hotel gardens were good for birds. Quite a few Yellow Wagtails, a White Wagtail, a few Common Sandpipers were running on the grass and in the trees we could hear a lot of bird calls, of which most were unfamiliar. 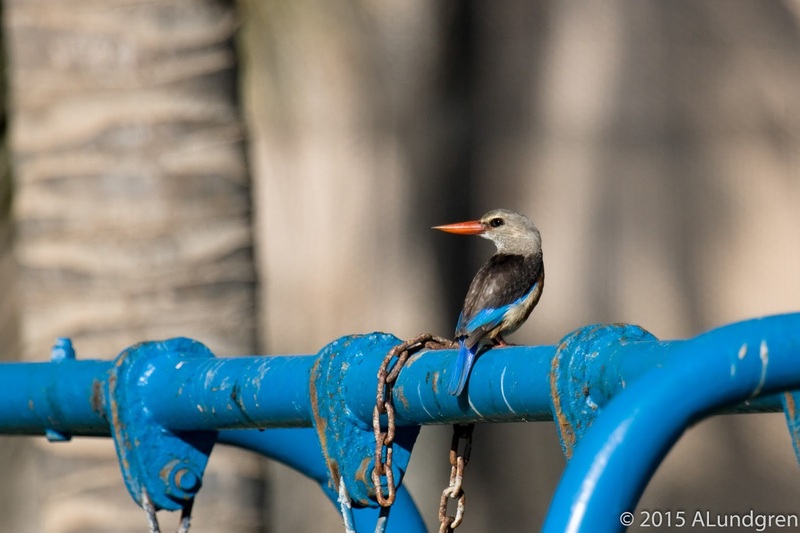 As we explored the surrounding, we saw a few African Silverbills, a female Shining Sunbird (and later on a male in full breeding plumage). A Grey-headed Kingfisher was catching dragonflies and the Tristram's Starling were trying to find some leftovers among the people eating breakfast. All of these were new lifers for me. 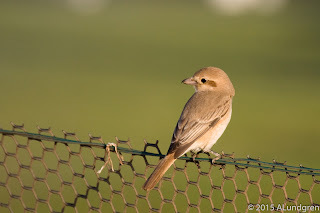 By the way, in the bottom of this post - and all the other posts from Oman- you can find a list of the birds seen in this site. 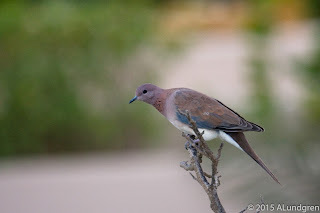 I will include all birds seen close the hotel, for the other sites I will skip the most common ones, like the Laughing dove. This was the first photo of the trip. From the small window in our hotel room and still early in the morning. Actually the only photo of Laughing dove from the trip - and I shot some 1500 photos - but the species is very common and I focused a lot more on, for me, new species. After the morning walk we actually got to bed anyway, for an hour or two, before starting the first trip, to Khawr Rawri. But more about that site in another post. As I mentioned, we started every morning with some birding before breakfast, except for those days when we had morning trips in the schedule. The mornings were always beautiful with clear sky and a warm breeze. Well, Oman is a very sunny country. We stayed quite close to the hotel except for one morning when we walked to East Khawr Park, perhaps two kilometers to the east. 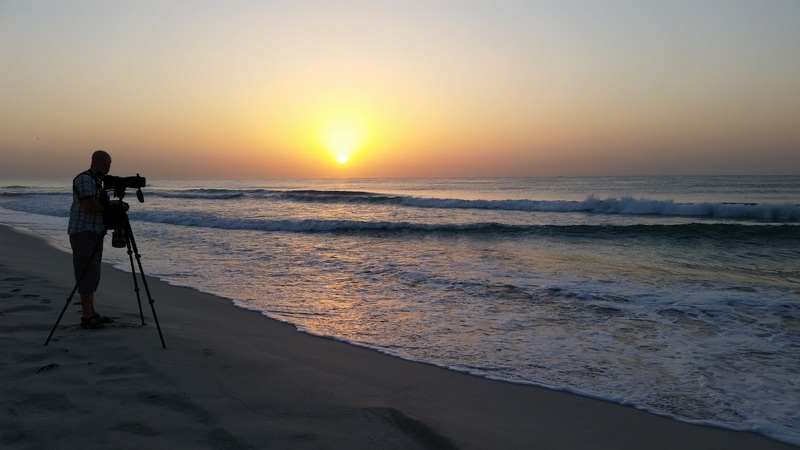 Most of the participants were out in the mornings, going east or west along the beach. Plenty of terns and gulls could be seen on and over the beach. Many flew back and forth along the edge of the water and if you have time, you could definitely get some really got photos of both Gull-billed and Whiskered tern as well as Sooty and Lesser Black-backed Gull. One of many Lesser Black-backed Gulls. I can get that far... I mean, to see that it is a Lesser Black-backed, but there are several possible variants and that is difficult to me. I have to admitt that I have not spent too much time delving in to this but... Well, it is difficult I think. If anyone knows, I would be glad if you could let me know. 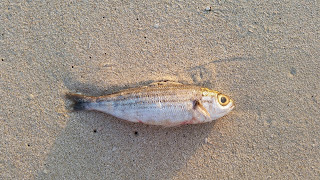 Heuglini or Barabensis? My guess is Barabensis. 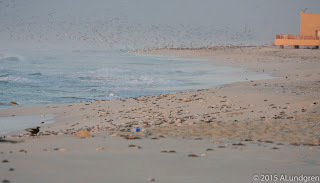 After having one very short sighting of the Sooty Gull last year in Fujairah Port beach in UAE, it was a treat to this this many and very forthcoming, as they were. 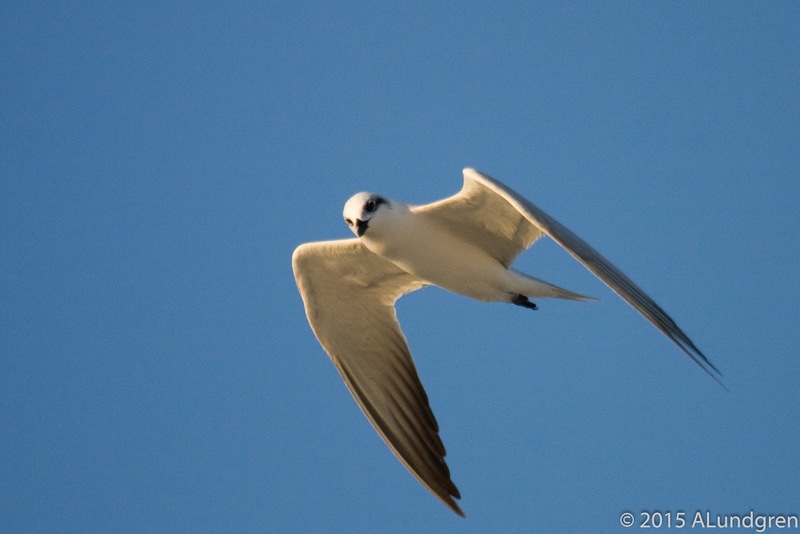 Patrolling the air above the beach. 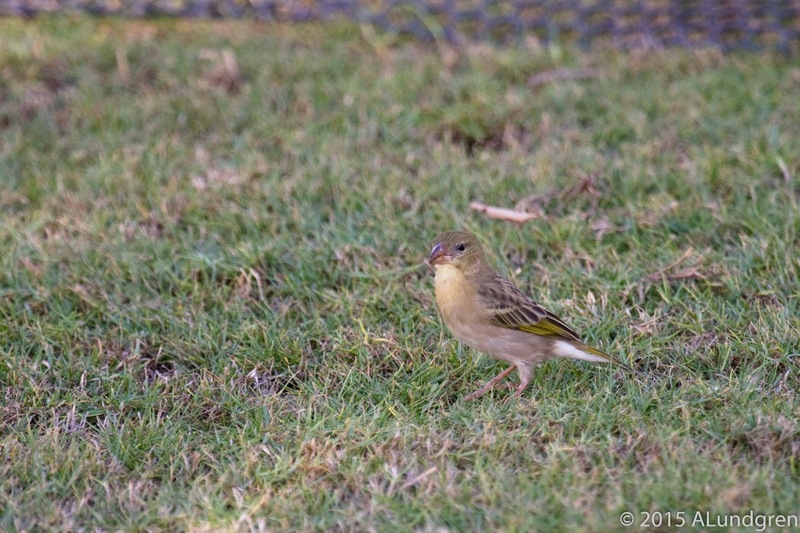 Even though the garden of the hotel was very green, this young (?) 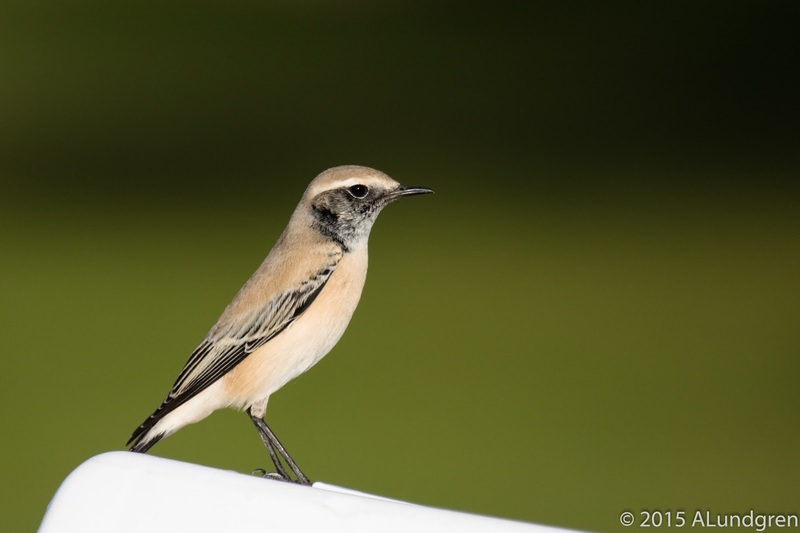 male Desert Wheatear had found its food source in there. Or perhaps because it was green. However, not very desertlike in the Hotel premises. When walking back to the hotel the first morning out, I just suddenly saw this flash of blue. 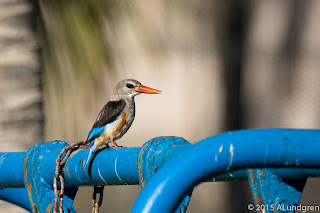 It turned out to be this Grey-headed Kingfisher. This was one of the species I had really hoped for as previous trips to Oman with Avi Fauna had seen this bird in the hotel garden. What a beautiful bird. After the first morning, we actually didn't see it in the hotel garden again. So, a bit of luck the first morning. 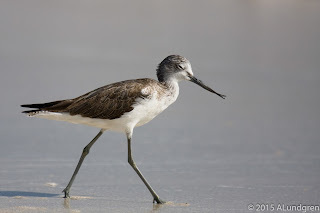 We did see it on several occasions in East Khawr Park, on the other hand, but we could never again get this close to the bird agin. 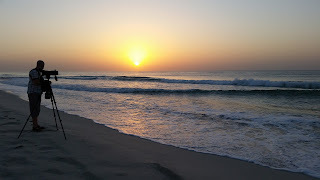 All photos above were taken during the first morning, but as I mentioned earlier we checked out the beach most mornings. 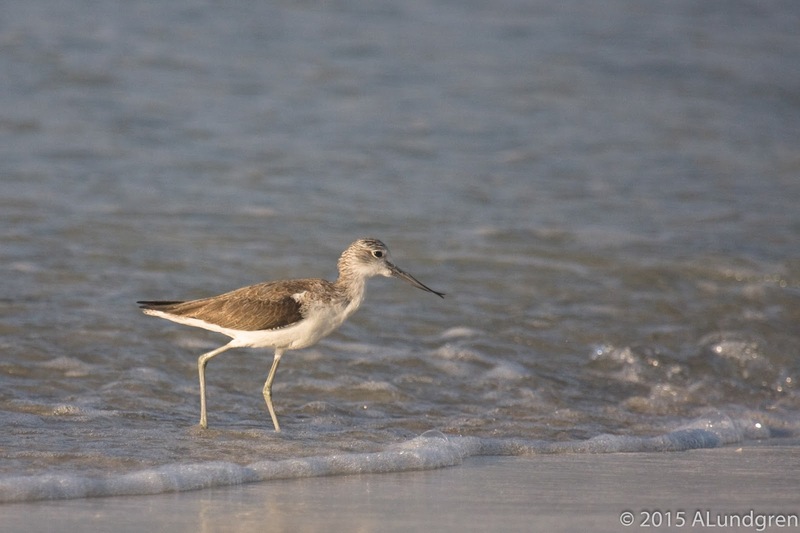 The second day I tried to get some photos of the waders on the beach but in the end I didn't put very much effort into it. We didn't really see anything uncommon near the hotel but I guess more or less anything could show up there. 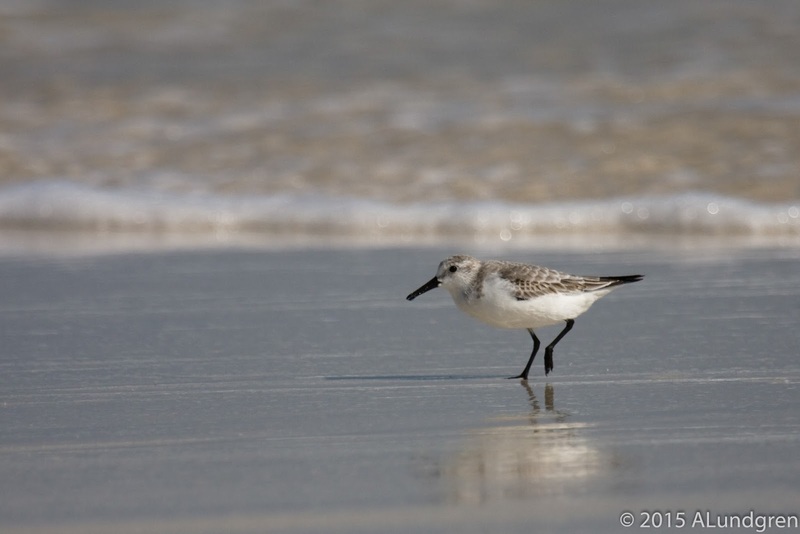 We had both Lesser and Greater Sand Plover at East Khawr and that is just two kilometers east of the hotel. 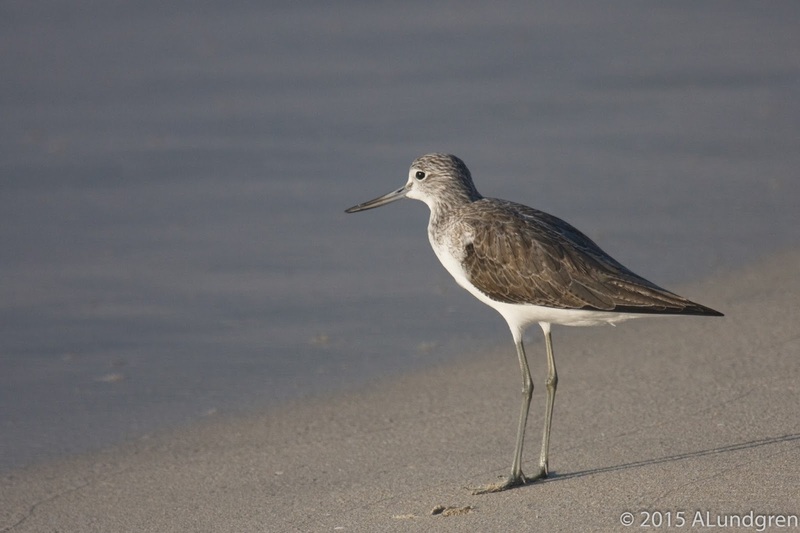 Sleepy Common Greenshank with a slightly deformed bill. It seemed to manage just fine even though it had this problem. Sanderling was a common bird on the beach and with a little bit of patience you could get quite close. The second day proved to be a quite interesting day at the hotel. After coming back from Ayn Razat (more about that site in the next blogg post, but a place with some really nice birds), most of us had lunch at the beachside restaurant in the hotel area. Some of us brought our scopes, which proved a good idea. Both Brown and Masked Booby (though I missed the Masked) was seen. 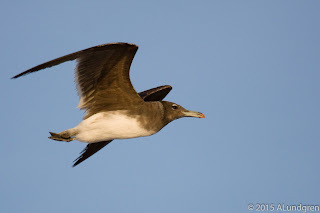 Fleshfooted and Persian Shearwater were two other species, albeit very far out and if I'm not mistaken, someone in the group saw a Jouanins's Petrel. Might have been later on in the week during some morning birding... 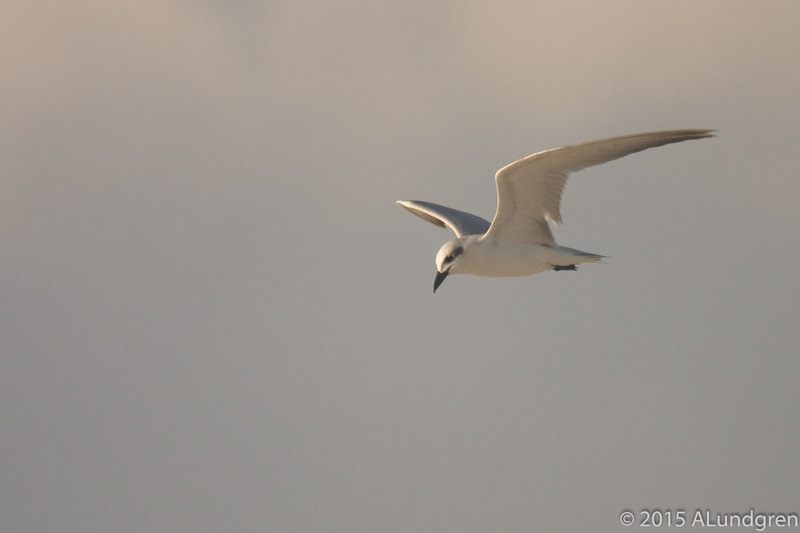 In any case, it was really nice to be able to get some of the pelagic birds while eating lunch. 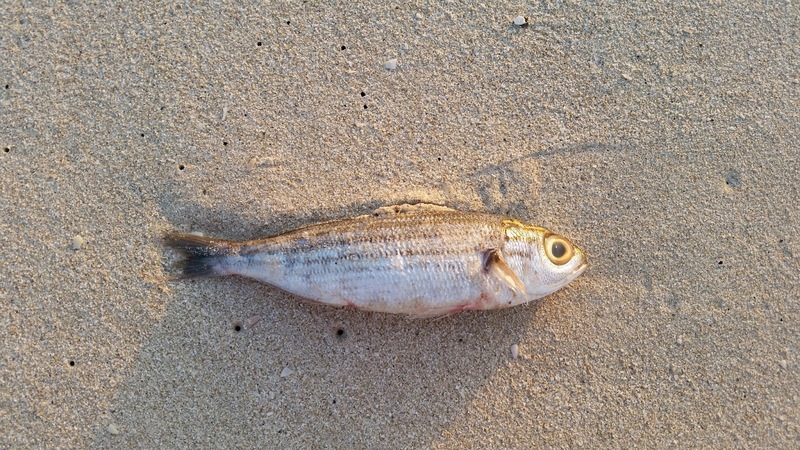 This is what all the fish looked like. Another beautiful bird. 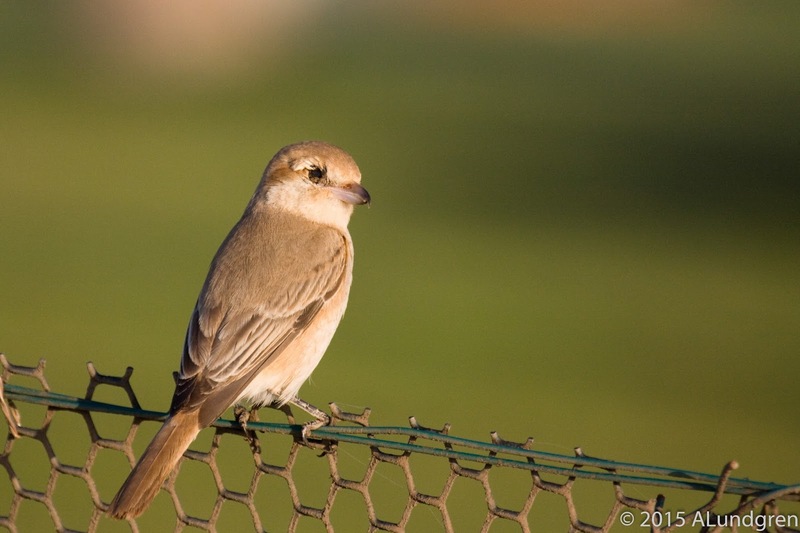 Shrikes are alway special to me. To bad that this bird had lost one of its eyes. 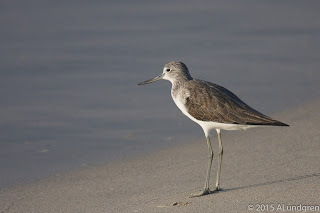 The same Common Greenshank as above a couple of days later. Still seemingly without being hampered by its deformation. 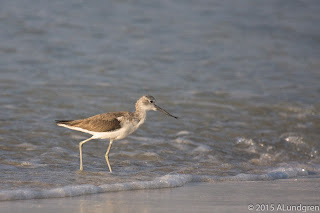 There were, of course, other Common Greenshanks on the beach. This one with a normal bill. 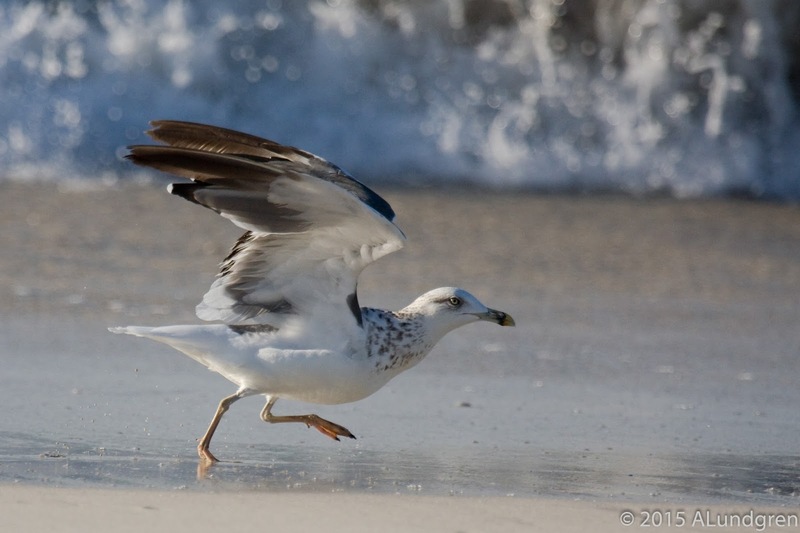 During the morning walk, on the 19th, my dad and an other of the group, met a couple of other birders. The other birders said that they had come to our hotel, the night before, and used a flashlight to check out birds in the hotel garden during the evening, after sunset. 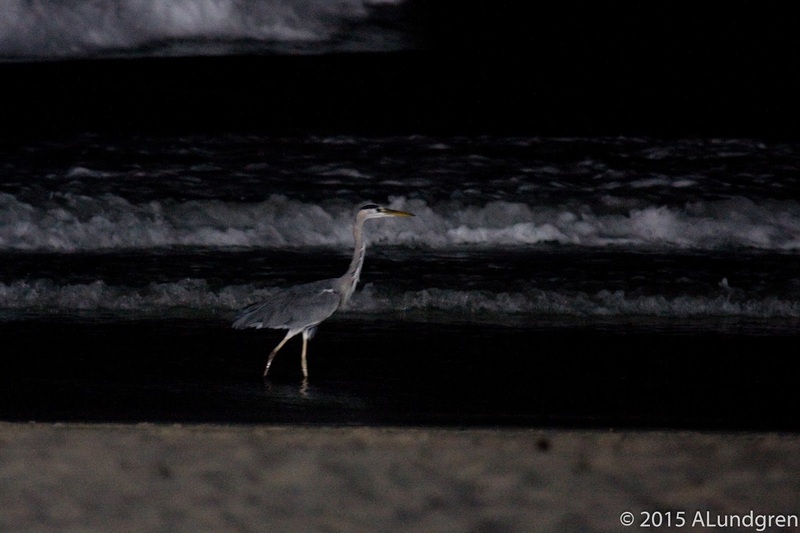 Apparently it was known to many birders that one special species could be seen in the garden of our hotel, after dark. This was the Spotted Thick-knee. Lets just say that we really felt that we needed to check this out. So, after a day at Raysut waste plant (and after a shower and the dinner) we brought a couple of flashlights and went looking for Thick-knees. It was not difficult. We found one immediately in the golf part of the garden. In the end I think we spotted at least five birds. A couple of them were even standing still in the light from the flashlights. A couple of days later, the Thick-knees were fould during one of the morning walks. 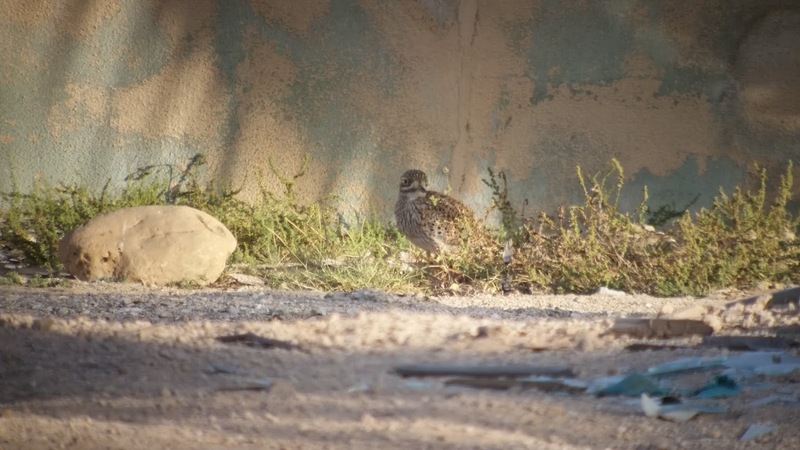 They were seeking cover in an area just to the east of the hotel garden. The photo below is a digiscoped one, as I didn't want to walk to close to them. I didn't want to flush them. At least three were seen in this area but most likely all of them were close by. Another nice thing about the hotel was the spotlight on the beach. 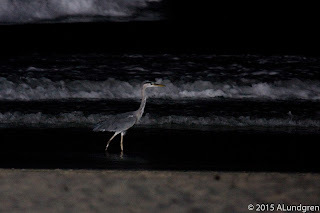 It shines straight into the ocean and you could see a lot of birds using the extra light. Quite a few gulls, probably mostly Slender-billed Gulls and ,as you can see in the photo below, a Grey Heron used the extra light for some night time snacks. I don't think there is much more to say about the hotel. It was a great place to use as a point of departure for the day trips. But there are probably other decent hotels as well. 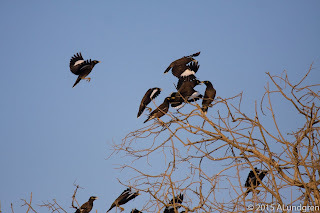 We met some birdirs who had seen White-breasted Waterhen at their hotel. I believe it was the Hilton hotel. We missed the Waterhen completely during the trip. If you liked this what I wrote here you might want to check later posts. 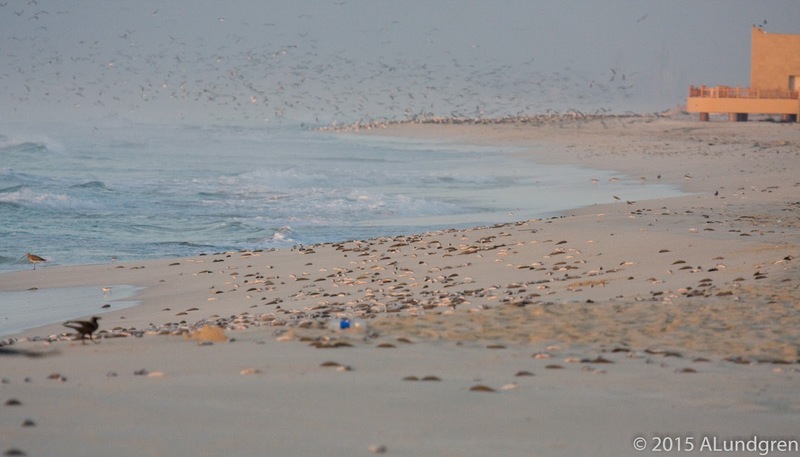 One of them will include the first observation in Oman for one species. I hope to finish one blog post per month (it takes a while to say the least), as I only have a few hours per week available. 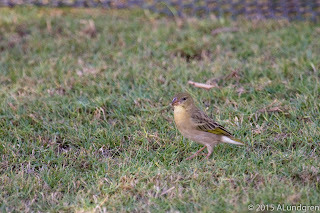 All species seen in the hotel gardens or out on the beach. This is, in my opinion, a decent list for a hotel. All new lifers marked with a *.